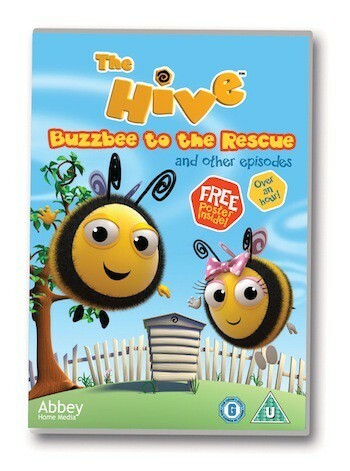 The lovely folks at Abbey Home Media have offered three copies of The Hive: Buzzbee to the Rescue to give away on my blog. This beautiful pre-school CGI animated series follows the fortunes of the extremely cute Bee family, who live together with friends and relations in the Hive. Pappa Bee, Mamma Bee, Buzzbee, Rubee and little Babee are really just like any other family, except they are tiny, stripey and can fly! Name one of the bees in the Bee family? Thank you for entering, good luck! This competition ends on 22/10/13 & there will be three winners. Dan Kat liked this on Facebook.